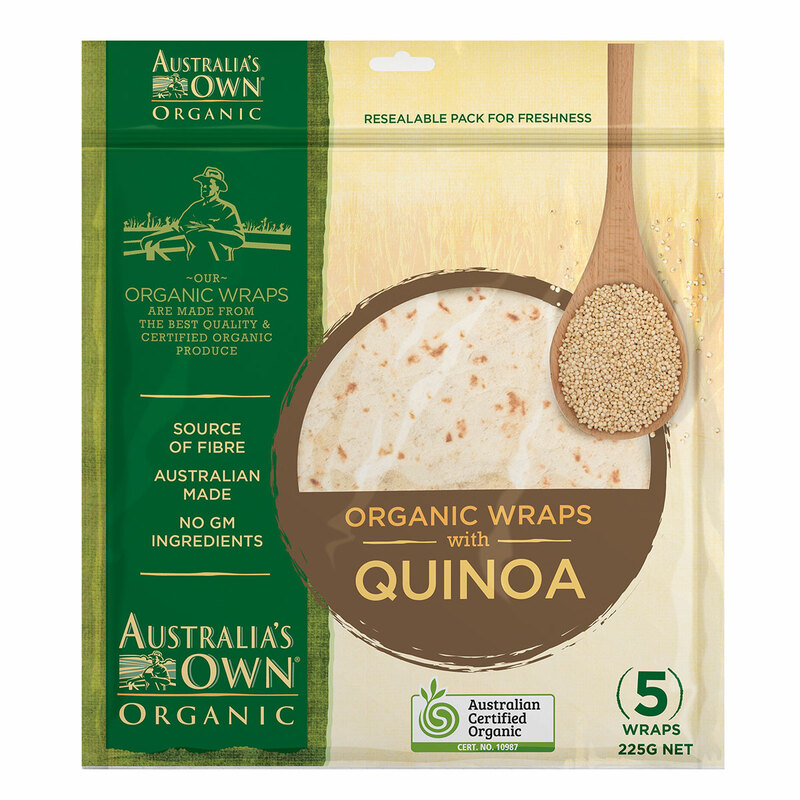 Australia’s Own Organic Quinoa Wraps are the ideal lunch, dinner or snack option! Made from the finest organic ingredients without the use of any artificial preservatives, colours or flavours. 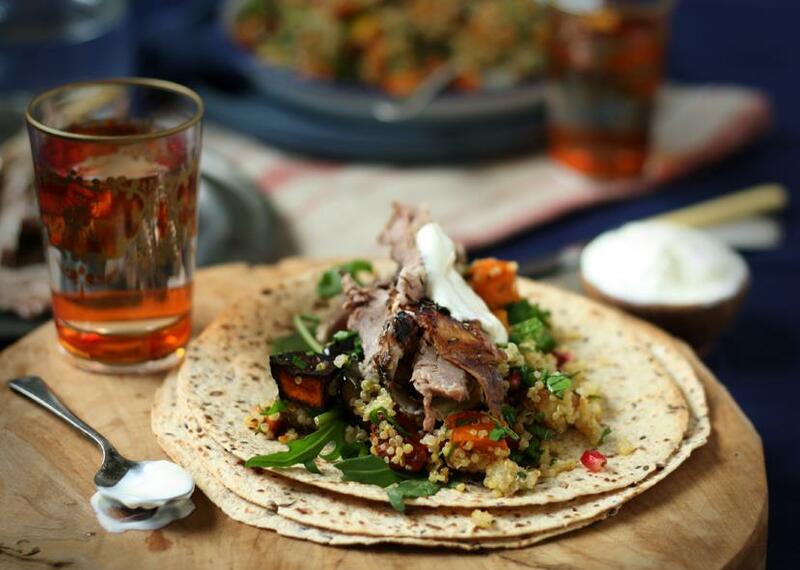 Not only do they taste great, our organic wraps are also naturally rich in complex carbohydrates and contain fibre to help with digestion. Australia’s Own Organic is proud to be endorsed by the Australian Certified Organic program which develops the interests of Australian organic industry farmers, operators and producers, processors and traders. Ingredients: Organic Wheat Flour, Water, Organic Oat Fibre, Organic Vegetable Shortening, Organic Quinoa Flakes (2.2%), Organic Apple Juice Concentrate, Brown Rice Syrup, Organic Vinegar, Salt, Cultured Dextrose, Baking Powder (Cream of Tartar, Sodium Bicarbonate, Organic Rice Flour), Organic Wheat Gluten, Guar Gum.